The Datawrapper River is a place to exchange charts and maps with other Datawrapper users. 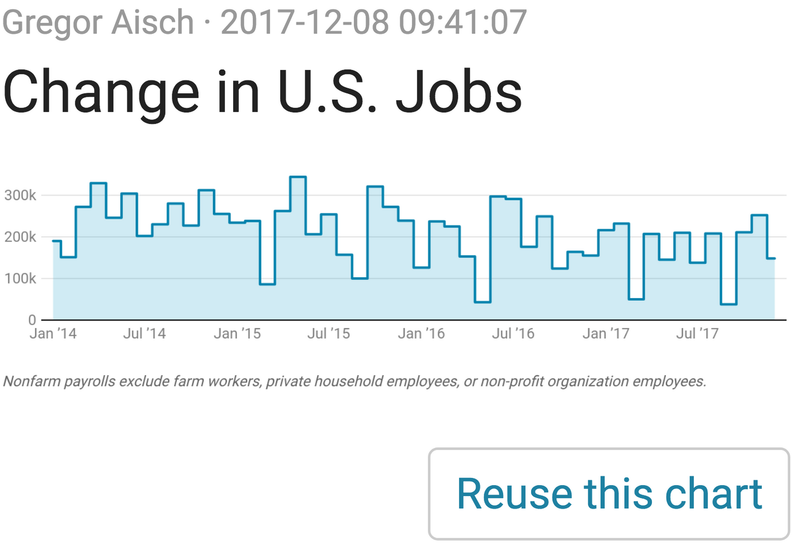 After adding a chart to the River, anyone can use it and customize the chart in Datawrapper before publishing it on their website in their own style. Usage of the River features is free. You can add as many charts to the River and use as many charts as you like. How do I add my charts to the River? In the River, your charts will appear in our default Datawrapper layout. Chart views are attributed to the person who reuses a chart from the River. Meaning, adding a chart to the River won't increase the chart views counted for your account. How do I use a River chart for my publication? Clicking on “Reuse this chart” will bring you to step 3 of the chart creation process of a copy of the chart. The chart is yours now. It will appear in your chart folder, and you can change its chart type, headline, colors etc. However, you won’t be able to change the data or the attribution to the source. Once you’re done, you can publish and embed the chart in your custom chart layout, as you’re used to. It’s a free and fast process. Learn more abo ut the how the River works in the FAQs. Or learn about or motivation behind it in our announcement blog post.